Sterling silver watch for woman. 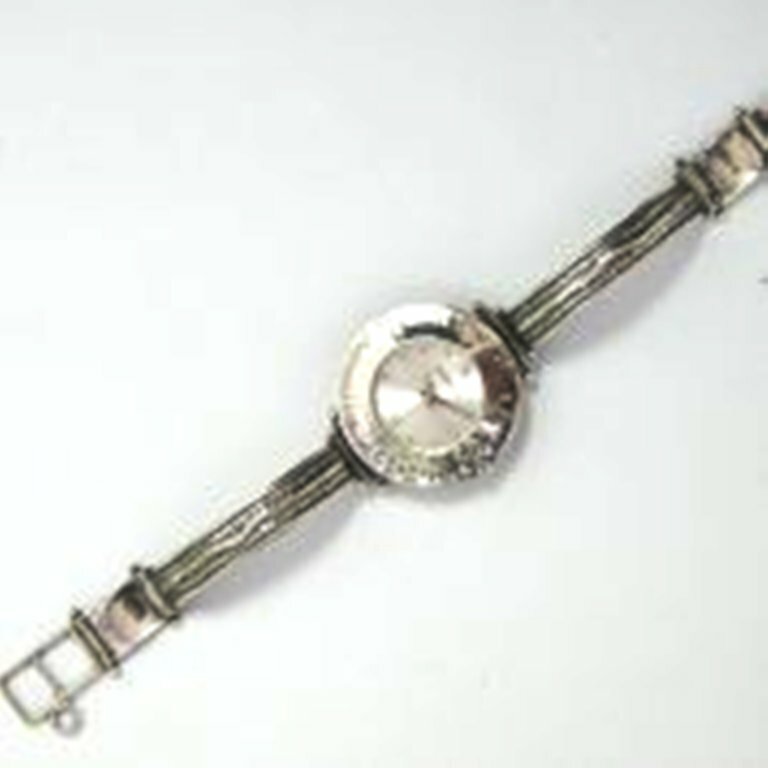 This lovely watch is stamped .925 sterling silver with a hammered and textured pattern throughout. This watch comes with a very secure latch and lobster clasp and security chain. On the back states: stainless steal back Japan movt 3atm water resistant stainless steel case back. The sterling silver is marked .925 and is signed by the Artist.